This web application uses a connected webcam as input, and then performs a running blob analysis with the images from it. Dark objects are detected against a bright background. 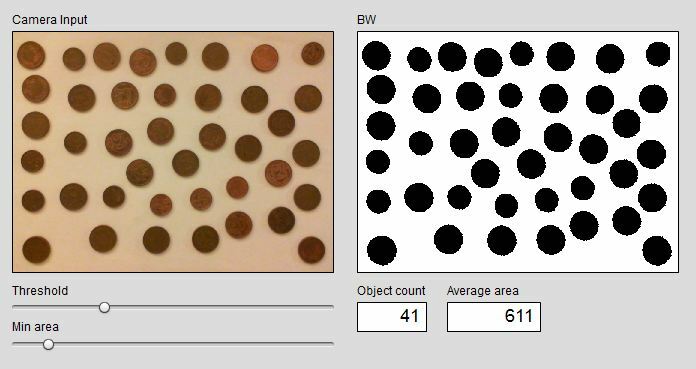 The result is displayed as number of objects, and the average area of the objects. With the sliders, you can set the threshold and the minimum area for blob detection. Click here to open the blob analysis in a new window.